War never changes in the world of plants and zombies. It is a war that has raged eternal, with plants usually getting the upper hand thanks to player intervention. 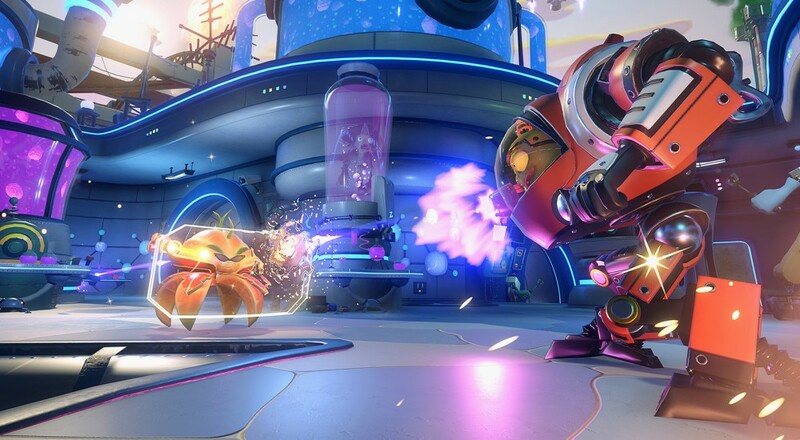 That changes with the new Plants vs Zombies: Garden Warfare 2. While the game was teased during Microsoft's conference earlier in the day, EA's conference had some more details. Specifically that players will be able to team up as zombies to take down the plants. Called "Graveyard Ops," up to four players can team up online to play through missions to defend the newly founded town of "Zomburbia" against the deadly flora. In the footage they showed at the conference, players controlled a few different zombie types - the Imp and Z-Mech, Captain Deadbeard, and Super Brainz - as they protected a new mega zombie while it was being built. The plant side of things - called "Herbal Assault" - appears to be a much larger PvP affair, with players playing on either the "Plants" team or the "Zombie" team in a larger 24-player match. Apparently, though, two players can play any of the game's seven different modes (no details on what those modes are) against A.I. opponents. If you played the previous entry, apparently you will be able to import some data from that into Plants vs Zombies: Garden Warfare 2. The title will be available on PC, PlayStation 4, and Xbox One spring 2016. Page created in 0.5537 seconds.